The America the Beautiful coin series was created to celebrate the memorable places, monuments, and moments in national history. The Florida Everglades is one of the most diverse ecosystems in the country, and worthy of inclusion in the ATB coin series. 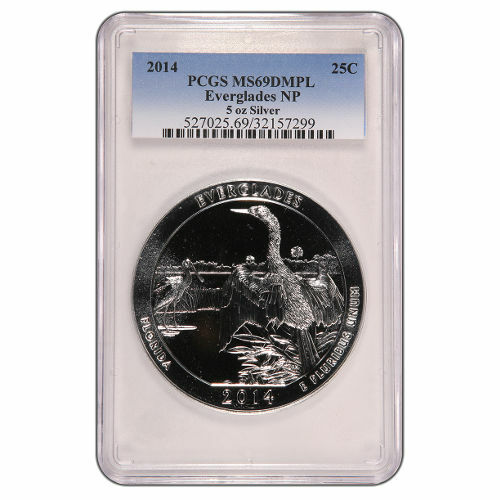 The 2014 5 oz Everglades ATB Silver Coin is available currently from Silver.com. Limited availability! Just 577 coins in this condition. Bears a face value of $.25 (USD) from the federal government. Florida’s Everglades National Park covers roughly 1.5 million acres of land across the southern portion of the state’s peninsula. Stretching from west to east across the state, it is home to sawgrass, mangrove forests, and swamps that house American crocodiles, panthers, frogs, and shellfish, just to name a few. America the Beautiful is a 56-coin series that was launched in 2010 and is scheduled to run through 2021. Each year, five new coins will be released featuring a different place or moment from American history. When all is said and done, the series will represent each of the nation’s 50 states, its five territories, and the District of Columbia. On the reverse side of the coin you can see an anhinga bird standing on its perch, watching as a spoonbill hunts in the waters in the background. The obverse side of the coin features the same imagery found on American quarters; that of President George Washington in a left-profile bust. Each of the coins in this product listing are available in near-perfect MS69 grade. A near-perfect coin still has its full, original luster visible, and no more than two detracting flaws, contact marks, or blemishes. 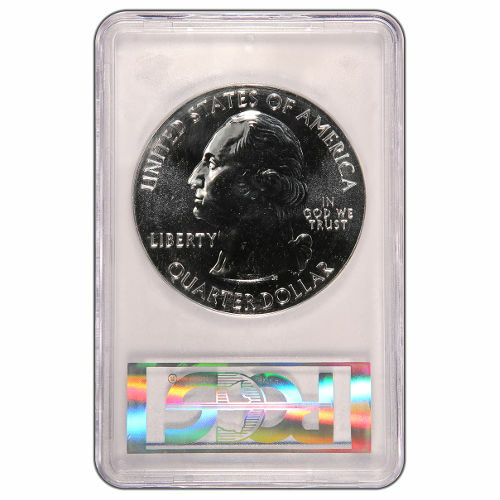 Although these are bullion coins, they feature a unique deeply-mirrored, proof-like finish. The United States Mint produces the America the Beautiful coins at the Philadelphia Mint and San Francisco Mint. Coins from Philadelphia bear no mint mark, while San Francisco coins have a visible “S” mint mark. If you have questions for a Silver.com, please reach out to us at 888-989-7223. You can also connect with us online through our live chat and email services.